Any roofer or contractor who says that they shall be able to handle the insurance claim for the roof leakage on your behalf may actually be going against the law. In most states, it has been made illegal for the contractors to act on the part of the homeowner, so this is a major RED FLAG, and you shouldn’t hire such a contractor. Any contractor who pressurizes you to get in to a contract should be looked upon carefully and cautiously! 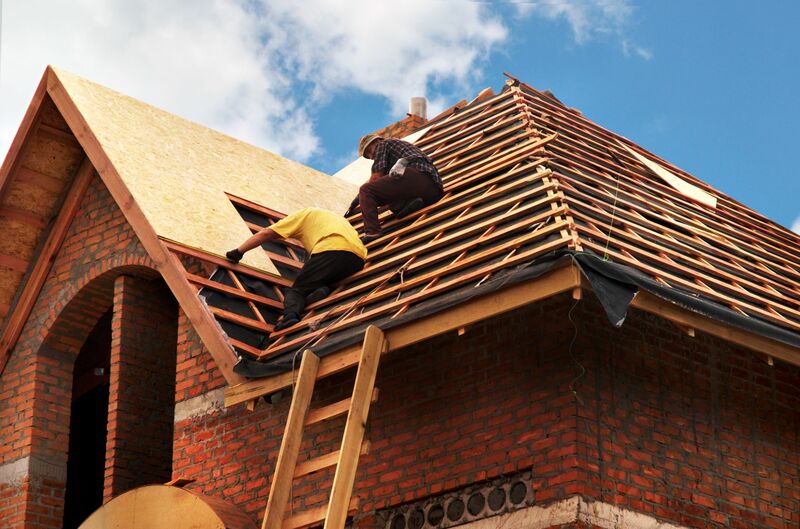 Most contractors claim that they will settle for any amount prescribed by the insurance company but the insurance company may not compute the damages accurately and in such a case, the roofing company will only provide service for the damages identified. This shall cause problem for you in the long run. Any contractor who doesn’t provide you a range of shingles to choose from – as suited for your house, is not actually working in your best interest but maybe for his own. The style, color and the quality of the shingle can impact the resale value of your property negatively and positively. If you want to know if the contractor you are opting for is reliable or not, you may search for them on the BBB website – if they have a good rating over there, then they are good to go. However, if the case is otherwise, look for a new one immediately! The requirement to maintain satisfactory rating to retain the BBB certification works as a scrutiny to the services provided by the roofer contractors. Any contractor who commits to take care of the repairs without you making up for the insurance deductibles may be committing an insurance fraud in reality. The insured is liable to pay for the deductibles and the contractor cannot commit otherwise! The esteemed roofers shall have a range of certifications and memberships as accolades and they shall testify about the quality of their service thus it is wise and advisable to check for the marvels that these contractors possess before they are given the right to make or break your case. We all know that for most people, any deal boils down to the sum of money involved. Not completely justifying it – but to some extent, this is correct. A few contractors charge you to provide a quote, but majority does not. With the reviews, certifications, past records, practices and the price comparison; it will become easy for you to choose the best roofer. Most importantly, don’t forget to take in account the word of mouth! The people who have tried the roofer’s service before can always provide you a realistic review and thus should never be ignored. The will be your best advisors!